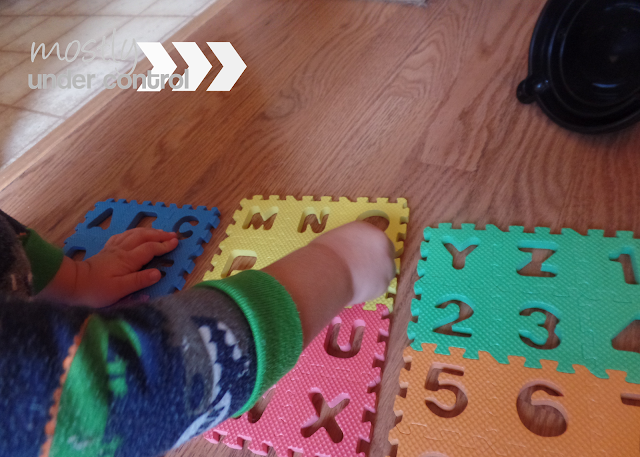 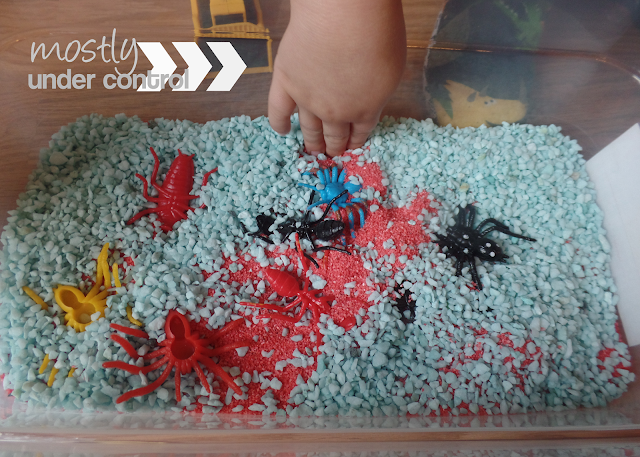 Sensory play is one of our favorite activities around here. 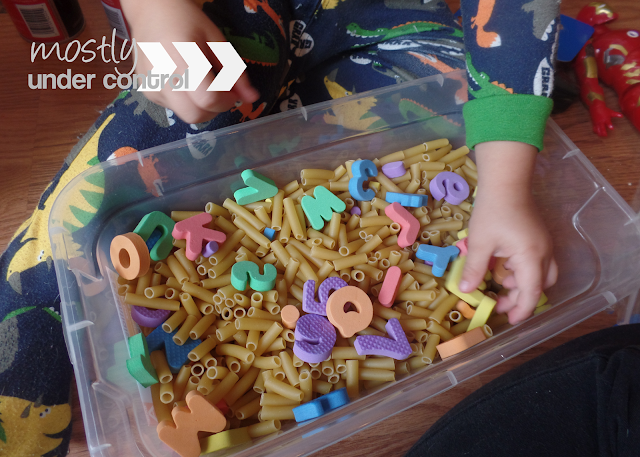 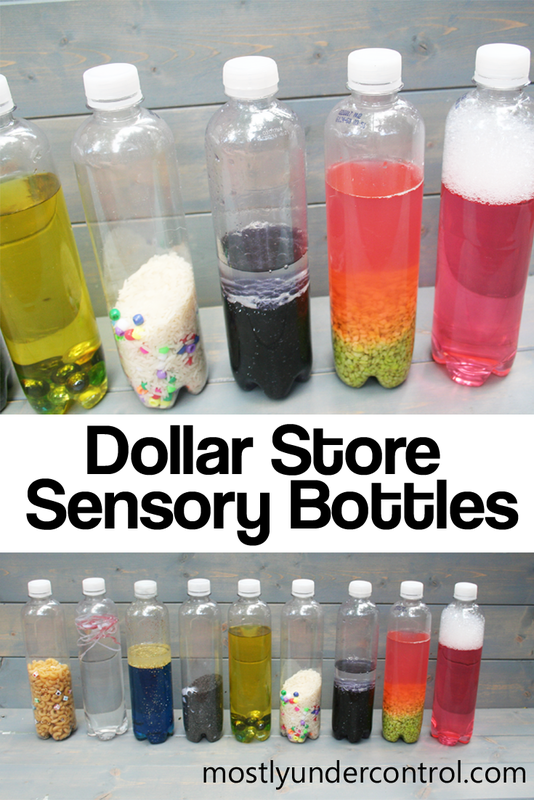 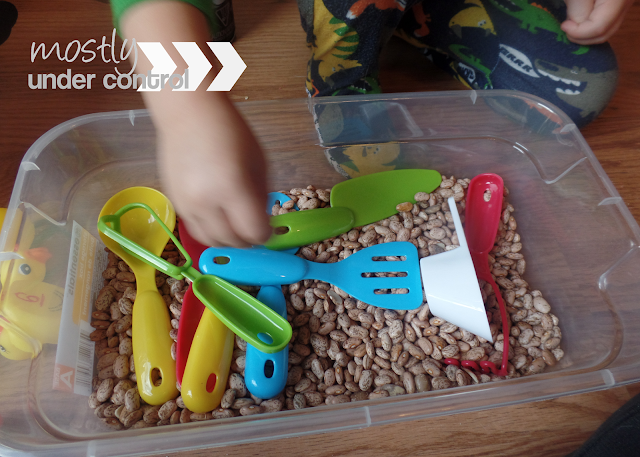 Sensory bins are right up there as something we do frequently. 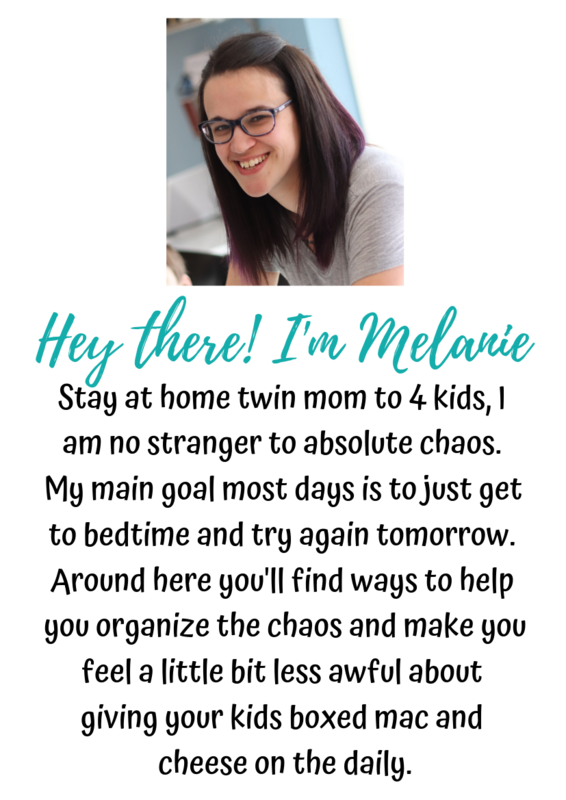 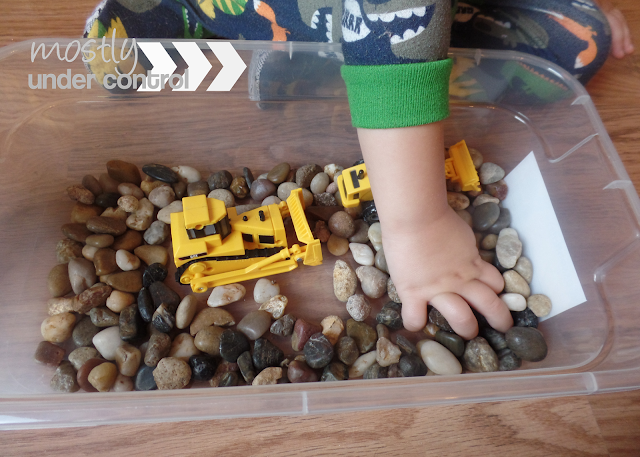 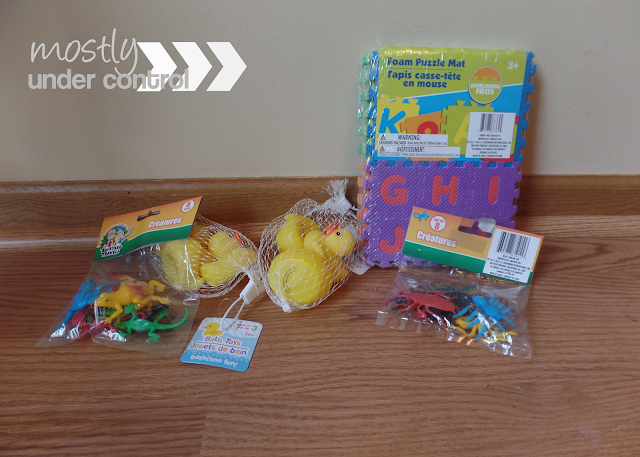 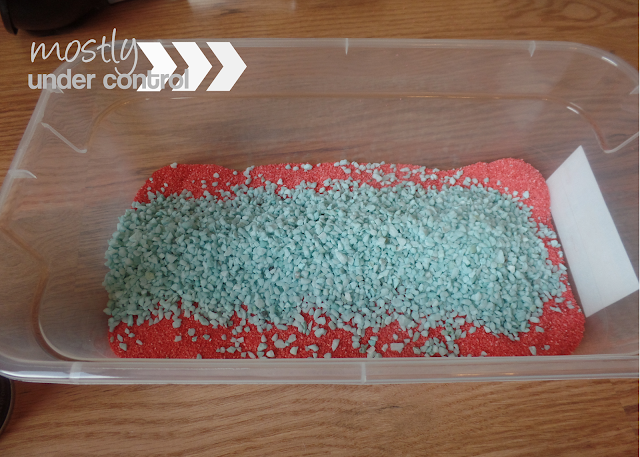 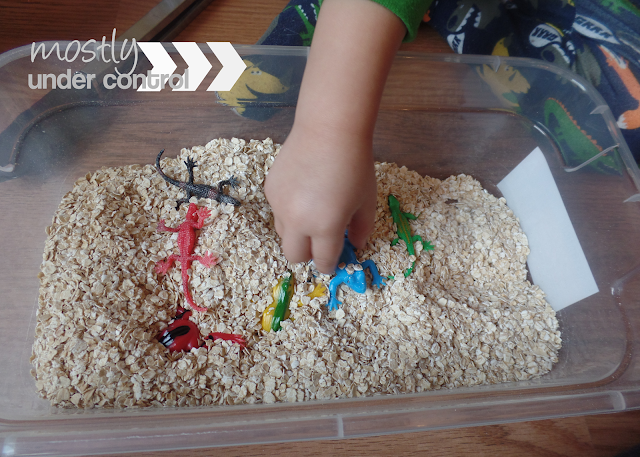 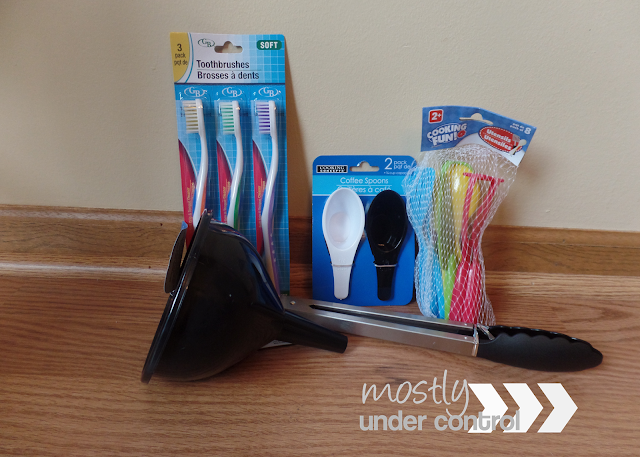 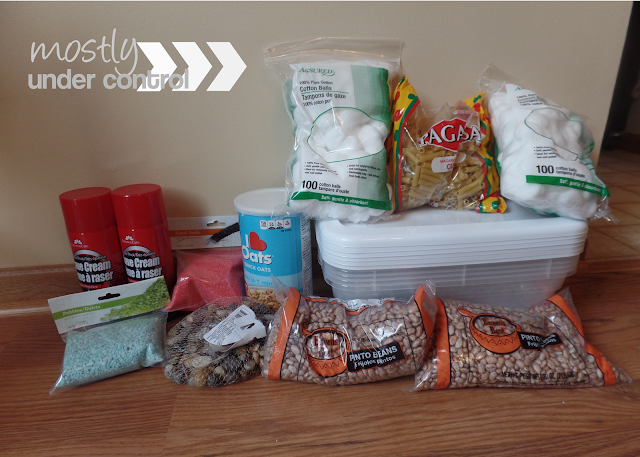 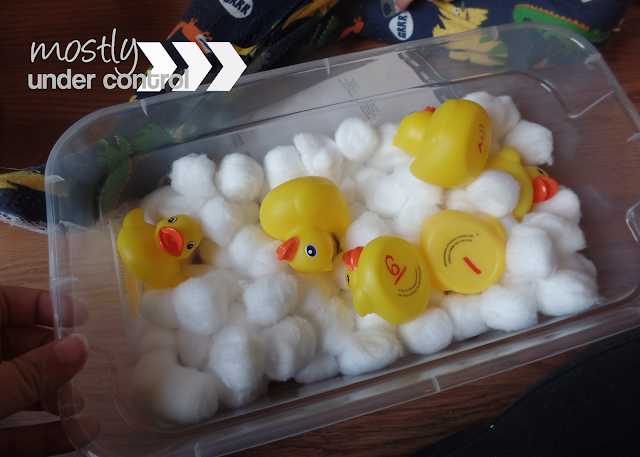 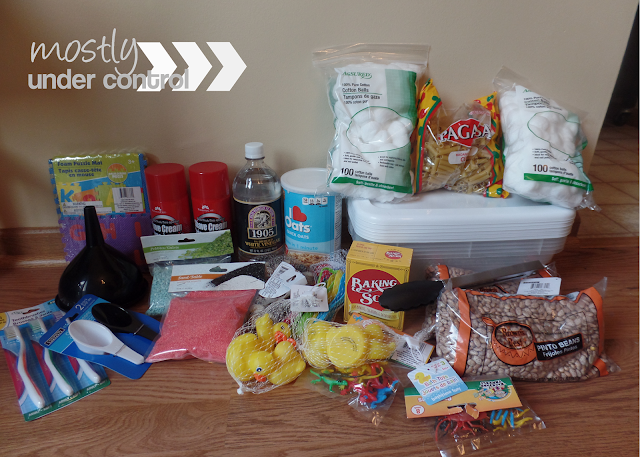 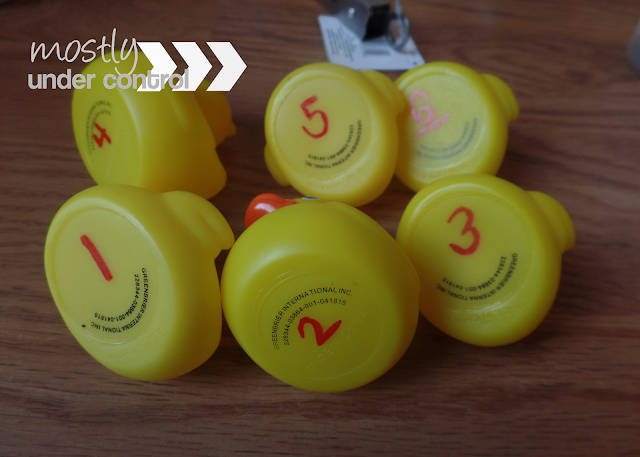 My oldest is often thinking of his own sensory bin fillers, so we made a quick list for you to check out for yourself.